NEW ORLEANS, Louisiana, March 3, 2012 (ENS) – BP has reached a $7.8 billion settlement with the Plaintiffs’ Steering Committee to resolve most economic loss and medical claims stemming from the Deepwater Horizon April 2010 blowout and oil spill in the Gulf of Mexico, the largest in the history of the petroleum industry. Late Friday, Judge Carl Barbier of U.S. District Court in New Orleans issued an order stating that the two sides “have reached an agreement on the terms of a proposed class settlement which will be submitted to the court.” The first phase of a trial, set to begin Monday, is adjourned indefinitely. 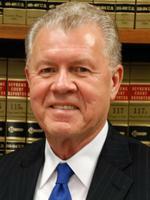 Instead, Judge Barbier has scheduled a status conference on the settlement talks. “The proposed settlement represents significant progress toward resolving issues from the Deepwater Horizon accident and contributing further to economic and environmental restoration efforts along the Gulf Coast,” Dudley said. The proposed settlement is not an admission of liability by BP for the 4.9 million barrel spill from the well located a mile beneath the surface and drilled 18,000 feet into the seabed. The oil fouled the shores of five Gulf Coast states and forced the closure of commercial and recreational fishing across hundreds of square miles. Tourism and other industries were adversely affected and hundreds of thousands of people have filed claims for medical damages. BP estimates that the cost of the proposed settlement, to be paid from the $20 billion trust fund established by the company to compensate victims, would be approximately $7.8 billion. This includes a BP commitment of $2.3 billion to help resolve economic loss claims related to the Gulf seafood industry and a fund to support continued advertising that promotes Gulf Coast tourism. Prior to the proposed settlement, BP had spent more than $22 billion toward meeting its commitments in the Gulf. Dudley said BP has paid out more than $8.1 billion to individuals, businesses and government entities. 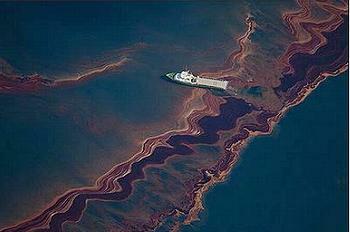 In addition, BP has spent about $14 billion on its operational response. The settlement is to be fully funded by BP, with no cap on the amount BP will pay. BP is obligated to fully satisfy all eligible claims under the terms of the court-supervised settlement, irrespective of the funds previously set aside. Two separate settlement agreements have been reached with BP. 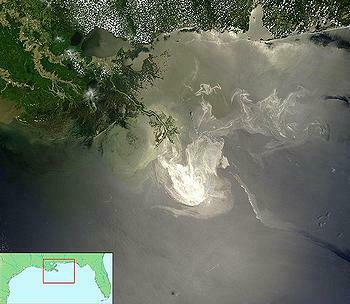 The first settlement compensates private economic losses due to the Gulf Oil Spill. These claims include businesses and individuals that lost profits; sustained damage to coastal property, wetlands and personal property; sustained real property sales losses; lost subsistence use; and have claims for failure to pay under BP’s Vessels of Opportunity Program. The second settlement compensates people with medical claims related to the spill and provides periodic medical consultation for the next 21 years. Claimants can participate in either or both settlement programs. “The settlement will fully compensate hundreds of thousands of victims of the tragedy,” says Baron and Budd attorney Scott Summy, a member of the Plaintiffs’ Steering Committee representing hundreds of affected businesses and individuals across the Gulf Coast. The proposed settlement does not include claims against BP made by the U.S. Department of Justice or other federal agencies, including under the Clean Water Act and for Natural Resource Damages under the Oil Pollution Act, or by the states and local governments. The proposed settlement also excludes certain other claims against BP, such as securities and shareholder claims, and claims based solely on the deepwater drilling moratorium and the related permitting process. 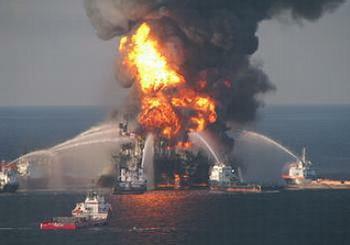 Under the proposed settlement, class members would release and dismiss their claims against BP. BP will assign to the Plaintiffs’ Steering Committee certain of its claims, rights and recoveries against Transocean and Halliburton for damages not recoverable from BP. Transocean owns the Deepwater Horizon oil rig that BP leased to explore its Macondo Well about 40 miles south of the Louisiana coast. Halliburton was the contractor responsible for sealing the well with the cement that did not hold when the well blew out. The explosion killed 11 workers and injured 17 others. In September 2011, the U.S. government published its final investigative report on the incident, stating that the main cause was the defective cement job, and Halliburton, BP and Transocean were each responsible in different ways. The proposed settlement is subject to reaching definitive and fully-documented agreements within 45 days, and if those agreements are not reached, either party has the right to terminate the proposed settlement. BP and the Plaintiffs’ Steering Committee would then seek the court’s preliminary approval of the settlement. Under federal law, there is an established procedure for determining the fairness, reasonableness and adequacy of class action settlements. Once the court grant preliminary approval of both agreements, there would be outreach to the public, including through advertisements and direct mail, to explain the settlement agreements, class members’ rights, including the right to “opt out” of the classes, and the processes for making claims. The court would then conduct fairness hearings at which class members and various other parties would have an opportunity to be heard and present evidence. The court would then decide whether or not to approve each proposed settlement agreement. The proposed economic loss settlement provides for a transition from the Gulf Coast Claims Facility administered by Kenneth Feinberg. “The announced settlement in the Gulf is good news,” said Feinberg today. “It avoids a lengthy complex trial and uncertain appeals. I point with significant pride and satisfaction to the achievements of the Gulf Coast Claims Facility: reviewing over one million claims submitted by 573,000 claimants and paying some $6.1 billion to approximately 225,000 individuals and businesses in just over 18 months. “I believe the GCCF has successfully fulfilled its mandate, and urge an orderly transition to the new proposed claims program,” Feinberg said. A court-supervised transitional claims process for economic loss claims will be in operation while the infrastructure for the new settlement claims process is put in place. During this transition, the processing of claims that have been submitted to the GCCF will continue, and new claimants may submit their claims. Payments in class action settlements typically are not made until after final approval of a settlement, but BP has agreed not to wait for final approval of the economic loss settlement before claims are paid.